HWxHAUSMUSIK is a series of live performances featuring musicians and visual artists that cultivates new works and ideas in an intimate space. The main focus is bringing together the community of emerging performers and modern listeners. André’s performance combines elements of his tracks and pre-recorded sound material with real-time sound improvisation and experimentation. Hello.O’shay will be performing 4 to 5 songs using his TC Helicon VoiceLive Touch 2 and his Roland SPDSX Drum Pad. This new series features our immersive audio and visual studio as a space where live performances that cultivate new works and ideas are performed live by emerging artists from the community (both musicians and visual artists). Harvestworks Hausmusik is geared towards the concept generated in the mid-19th century that celebrates musical performances in the home or smaller space setting, where composers provide an insight into their newest works. André’s performance combines elements of his tracks and pre-recorded sound material with real-time sound improvisation and experimentation. 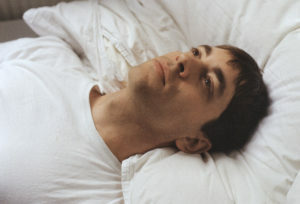 André reduces his original tracks to their essence: selecting a haunting melody, a grainy bass layer, or a repetitive arpeggio line, and matching them with ad-hoc produced and improvised sounds elements. The musical elements used for the show are taken from André’s debut album I hope the roof flies off, and I get sucked up into space. Hello.O’shay will be performing 4 to 5 songs using his TC Helicon VoiceLive Touch 2 and his Roland SPDSX Drum Pad. Using a combination of loops and samples, Hello.O’shay will recreate some of the work that will be featured on his debut EP ‘HELLO.O’SHAY SEASON ONE’. The EP is a collection of Episodes that tell a story of heartbreak and self discovery. HELLO.O’SHAY SEASON ONE will be released this Summer. André Uhl is a musician, sound artist and futurist born in Essen and based in Berlin. André merges noise and synthesizer lines converging them into dark, driving and cinematic pieces of music. His productions combine detailed and spatial audio design with simple, yet haunting melodies. André holds a master’s degree in futures research, a fact that reflects in his compositions and leaves traces in his sound: tales of the hazy past and the twilight of the future. André has released music on the labels Detroit Underground and Neofakt. His strong live performances have seen him play at Torstrassen Festival Berlin, Supynes Festival in Vilnius and Les Digitales Festival in Lucerne. His collaboration with video artist Jem the Misfit, the Creatures live AV show, was selected for the Mapping Festival in Geneva, Switzerland, and for performances in the Cathedral of Guebwiller, France. André’s debut album I hope the roof flies off, and I get sucked up into space.is accompanied by a booklet of 13 short stories, each by a different writer. His single New Oil has been selected for the Listen to Berlin 2018/19compilation released by the Berlin Music Commission. He is currently a workspace resident at Harvestworks. 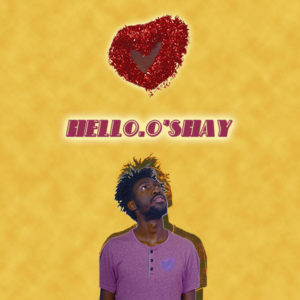 Hello.O’shay is a Singer-Songwriter, Producer and Musician out of Bed-Stuy Brooklyn. With his soulful vocals, intricate flow and off kilter production his sound is unique yet familiar. Hello.O’shay’s music can be best described as a mix between Hip Hop, NeoSoul and Pop. In the first grade Hello.O’shay wrote his first song lyrics and decided from that point on that he wanted to be a Singer-Songwriter and Rapper. At the age of 9 Hello.O’shay started taking guitar lessons and became fascinated with musicianship and instrumentation. This would later shape his approach to production and songwriting. While attending Brooklyn H.S. of the Arts Hello.O’shay studied classical music and played the violin in the Orchestra. He also taught himself how to sing and how to play the piano. A few years after graduating High School Hello.O’shay began his internship at Lounge Studios where he got to work with many up and coming artist/musicians. His experience at Lounge Studios would help him further develop his songwriting and production skills. Hello.O’shay also studied mixing under Solange’s mix engineer during the production of the album ‘A Seat At The Table’. These days Hello.O’shay finds himself constantly on stage developing himself as a performer. He has been on stages all across NYC, performing at places like Milk River, The Delancey, The Paper Box and Drom just to name a few. Hello.O’shay is Also back in the studio working on a new project entitled ‘Hello O’shay’. While continuing to work on the EP O’shay will be releasing more singles, producing for other artist and continuing to performing live with his band The Nu Sound.